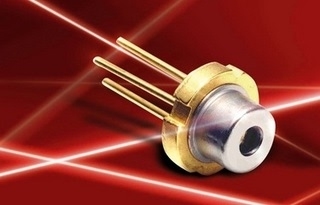 5.6mm Mitsubishi 500mW 638nm laser diode ML501P73-02. nfo on the 500mW version coming as soon as we get some good data. Mitsubishi ML520G71...Red Holy Grail or Flashlight Fail ?? 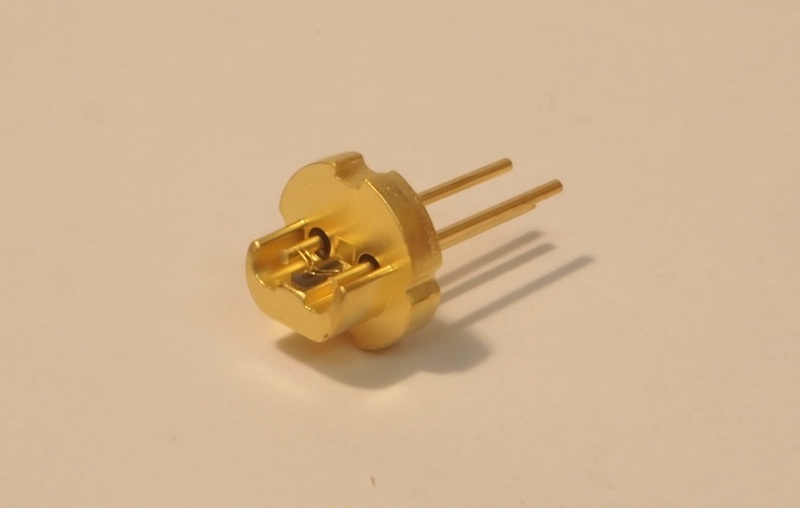 Here are some more threads about these diodes. 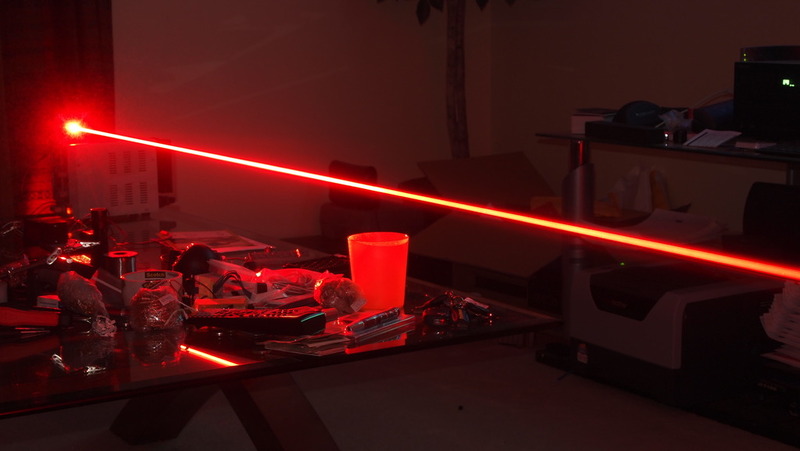 If this is your first laser build here is a great place to start. Diodes are current hungry and as they heat up their internal resistance is lowered causing them to want to draw more current. Don't attempt to connect the diode directly to a fixed voltage source like a battery. You must use a "constant current" power source like a current limiting driver or variable current power supply with the current limited to no more than 850mA or you diode will suffer thermal runaway and die. For more info on the reason for a constant current driver see this thread. Laser Driver - It Can Be Done! 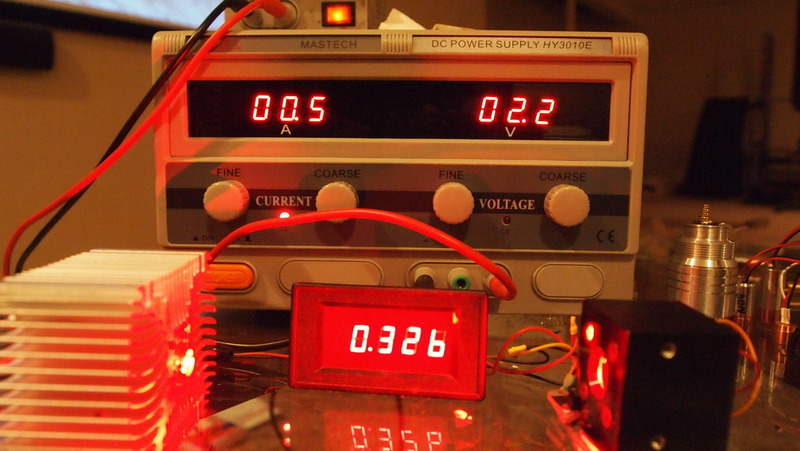 I know this diode has been around a while but never did do a testing post on it so here is one for reference. Power test with a G-2 lens. By purchasing these diodes you are agreeing to the following. - You are over 18 years of age . - You understand that these components that are mentioned above are dangerous when not properly assembled into a finished product. - You will use these as components and properly incorporate them into a finished product. - You will use these diodes/modules in a safe and responsible manner and for a legal purpose. 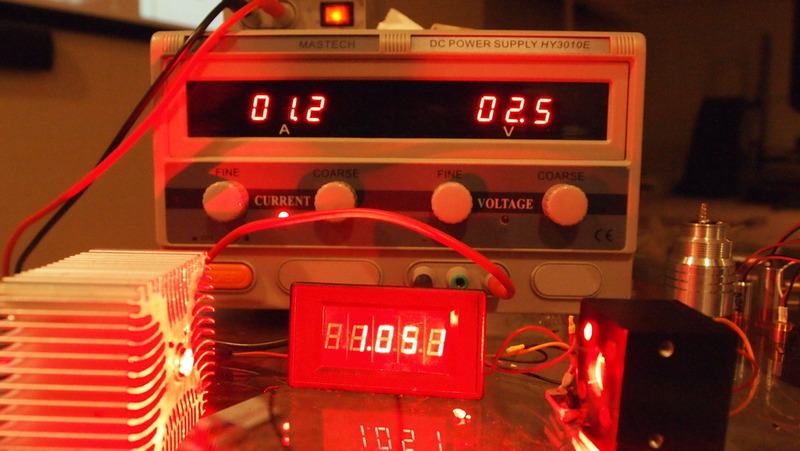 - You are legally responsible for the use of these components, improper use of these components or their end products. - You are legally responsible for any injury to anybody resulting from the use of or assembly of these components or their finished products. - You Accept this diode/module as a COMPONENT for integration in a system of YOUR OWN design and will be legally responsible from any and all LIABILITIES These Diodes and Modules are sold solely as a component for incorporation into the customer's end products. Therefore, this diode/module is exempt from compliance with the appropriate requirements of FDA 21CFR, section 1040.10 and 1040.11 for complete products. Free US shipping on domestic orders over $50. All laser diodes/modules offered via this store are components for integration into a wide range of end products of your own design. They require fundamental understanding laser safety, electronic characteristics of laser diodes which are current source, specialized current source circuitry required to properly power them and provide functionality required by the end product, optics for collimation, optics used for beam shaping/combining/filtering, and proper thermal management of waste heat generated. Failure to properly incorporate these items into your end product can cause a dangerous situation resulting in bodily harm to yourself or others. No end product specif bundle listings or as often referred to as "Kits" are offered here and no commissioned building or repair of any completed end products are offered. Please do not ask. By purchasing diodes/modules here you are agreeing to the following.- You are over 18 years of age . - You understand that laser components that are mentioned above are dangerous when not properly assembled into a finished product. - You Accept these diodes/modules as a COMPONENT for integration in a system of YOUR OWN design and will be legally responsible from any and all LIABILITIES These Diodes and Modules are sold solely as a component for incorporation into the customer's end products. Therefore, this diode/module is exempt from compliance with the appropriate requirements of FDA 21CFR, section 1040.10 and 1040.11 for complete products.